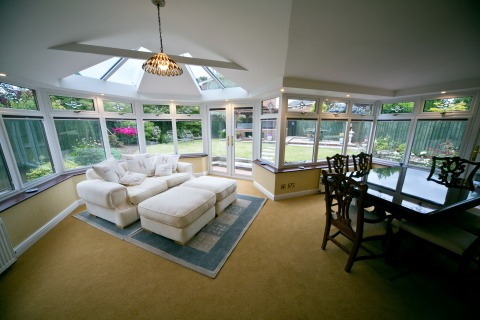 Helping to extend your living space and enhance thermal performance. 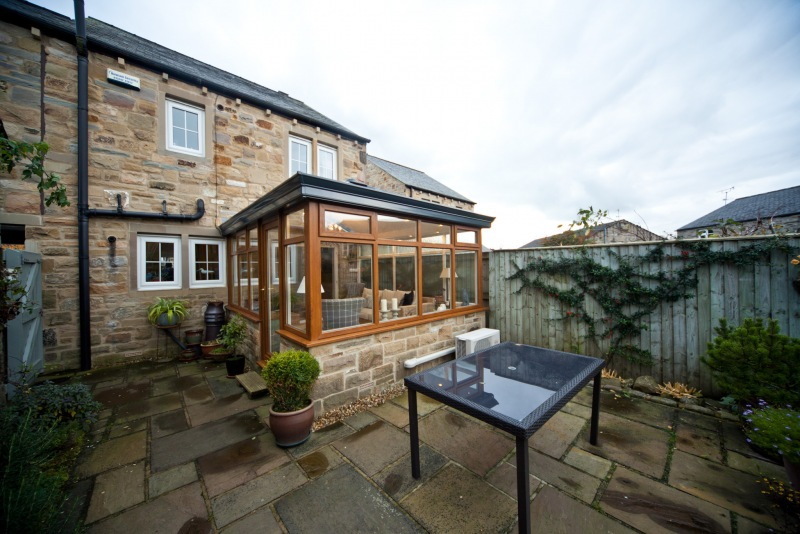 The Livinroof roofing system is constructed from insulated composite external panels and Kingspan slab insulation, which are strong and robust yet extremely thermally efficient. 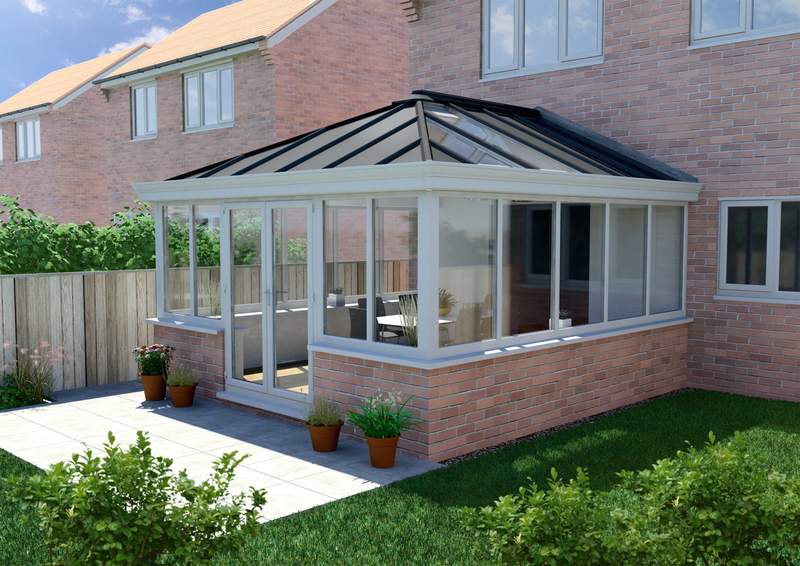 The Structure of the roof utilises Ultraframe’s market leading Classic system to provide strength and rigidity and you can be sure it can withstand anything the weather has to offer it. 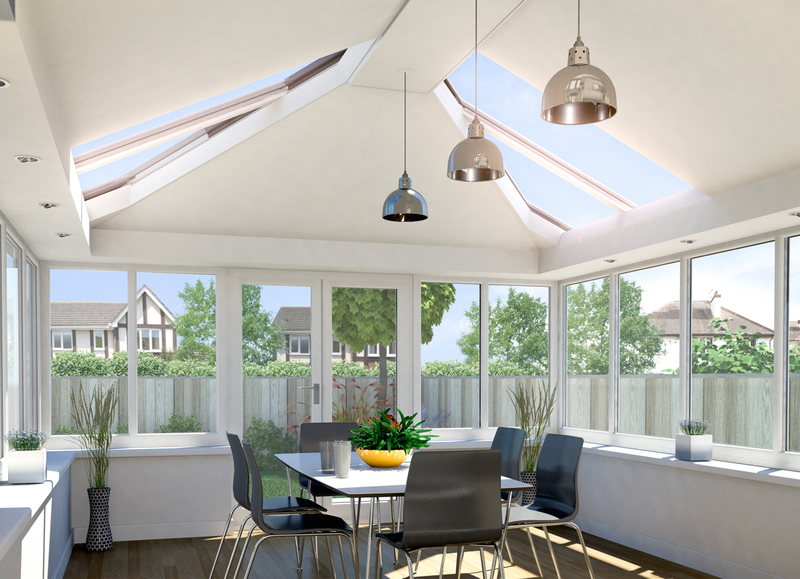 The great feature of Livinroof is that it can incorporate one, or a number of glazed panels that allows daylight to penetrate deep into your room, making the space instantly brighter. 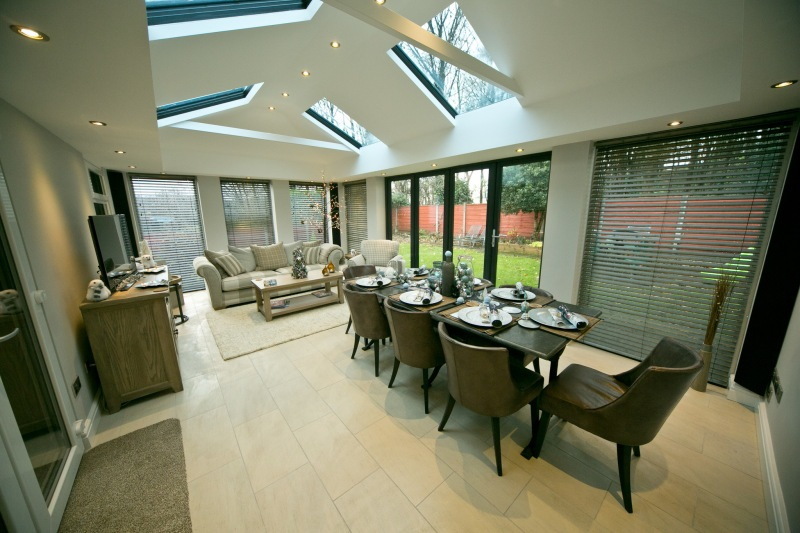 The contemporary Livinroof system has many internal and external details, helping make a space instantly brighter. All Livinroof designs come complete with the internal pelmet perimeter ceiling system as standard, not only providing the perfect place for spotlights and speakers, but it gives the effect of lifting the vaulted ceiling, giving a light airy feel to the new room. Livinroof can incorporate the Classic Cornice - hiding the guttering and giving your conservatory a modern, aesthetically pleasing feature. 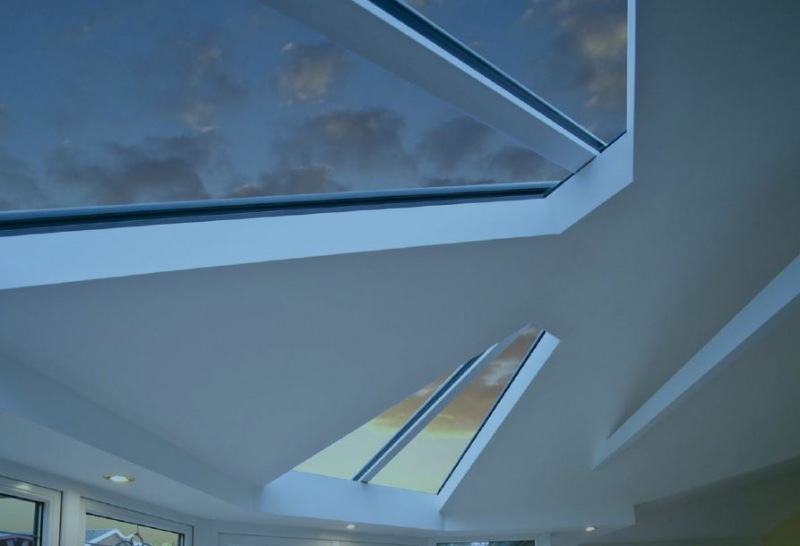 Because of its prefabricated design, the Livinroof doesn’t require any onsite cutting, reducing waste and disruption and cutting down installation time. 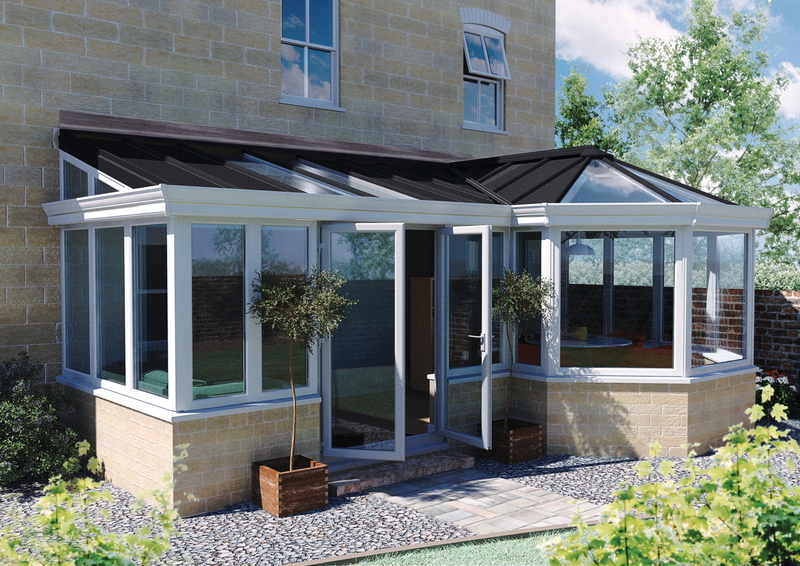 The roof panels come in RAL 7016 with a matte effect for a modern, contemporary look and feel. The roof has a 0.18 U Value which is 15 times more thermally efficient than a Polycarbonate roof or old glass roof without solar control. 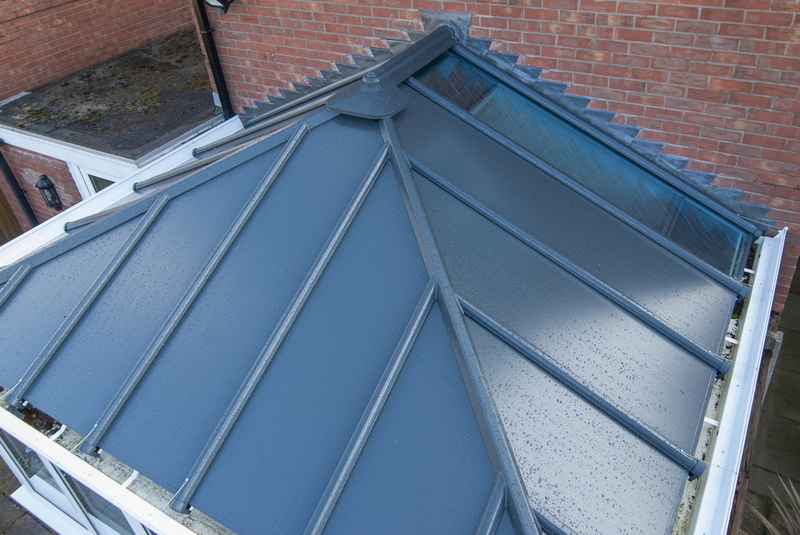 Building regulation compliance is required for solid roof conversions and new build extensions, the Ultraframe JHAI partnership provides peace of mind regarding the performance of the roof and to ensure that there are no problems with compliance when you decide to sell your house.